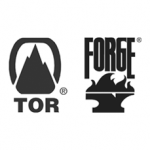 One publisher does not a trend make, but Macmillan imprint and science-fiction house Tor/Forge’s decision to abandon DRM this July may be a sign of things to come. Tor/Forge is dropping DRM because its customers, and authors, have been asking for DRM-free titles. The game isn’t won yet, but it’s a safe bet that Tor/Forge won’t be the first to abandon Digital Rights Management for e-books and other publications. Tagged with Amazon, count, digital, drm, independent, internet, kindle, king, publishing, stross.